What do you usually do with laksa paste? A bowl of yummy Laksa!! However, when Singapore Home Cooks approached a group of us to take up the campaign of using Dancing Chef’s Laksa paste to cook other creative dishes apart from Laksa, Mummy’s Kitchen was one of those who were honoured to do so. I wanted a dish that will bring out the original flavour of the paste without tampering with it too much. As chicken is kind of bland, a strong paste like this will blend in very well. I am so proud to present to you our Mummy’s Kitchen Crispy Fried Chicken with Laksa dipping sauce, born on 15 July 2017! The Laksa sauce on the Laksa Crispy Fried Chicken Wings just round up the dish so well! Hope you enjoy this dish and I humbly request that you make mention of Mummy’s Kitchen @BeyondNorm if you ever recreate this dish in your kitchen and post it online. Rinse the chicken and separate the wings from the drumlets. Next add 50g of the laksa paste and ensure that the chicken pieces are coated evenly and set aside. 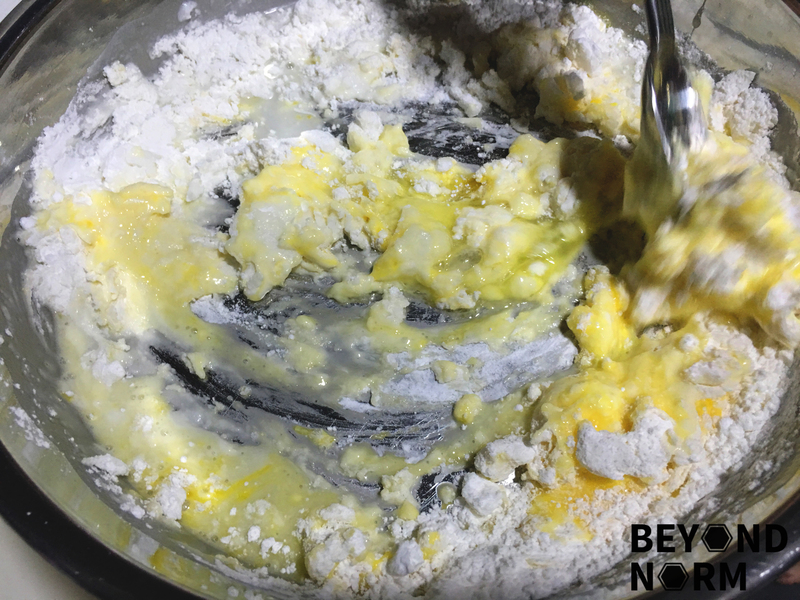 Then mix all the ingredients for the batter till smooth. 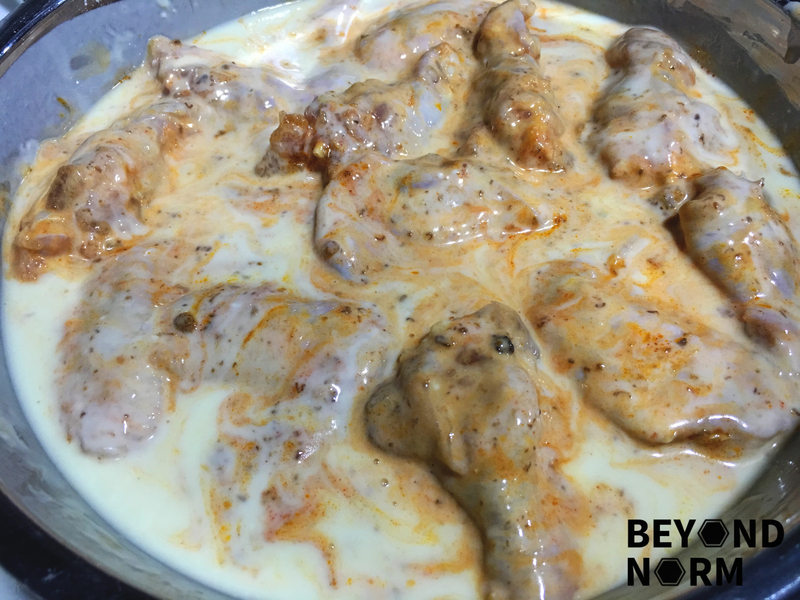 Add the batter to the marinated chicken pieces. Mix well and marinade it for 8 hours or overnight. Wash and rinse the laksa leaves and pat very dry. Add some oil into a non-stick pan and fry the laksa leaves till crispy. Set aside. 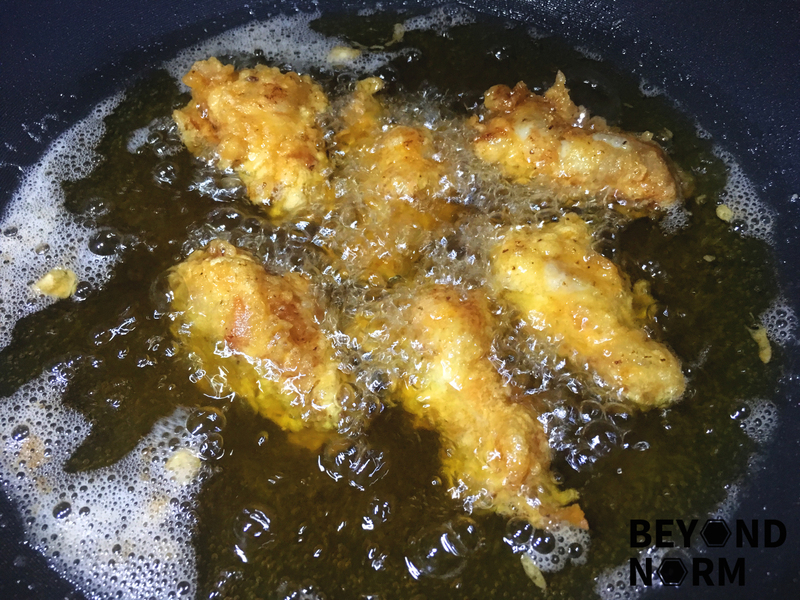 Add enough oil for deep frying into a wok. Heat up the oil for 30 seconds or till it is hot. Add in the drumlets one by one. After 30 seconds separate them so that they do not stick together. After 1 minute or more turn the chicken. Fry for another 3½ minutes or till golden brown. Transfer the fried chicken to a cooling rack and set over a baking sheet. Add the wings one by one. 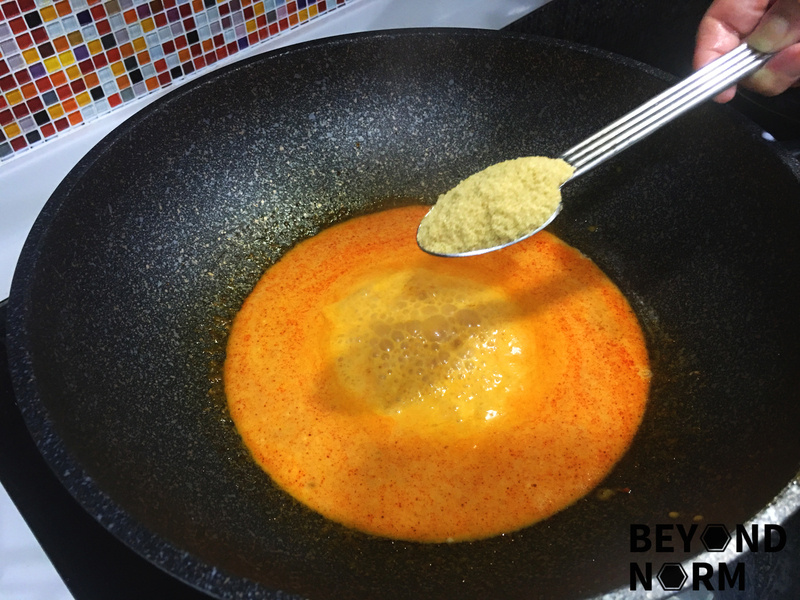 Add 50g of laksa sauce into a non-stick pan. Add some brown sugar to tone down the saltiness. Once it simmers, turn off the heat and transfer it into a small serving dish. Transfer your cooled crispy wings to a serving plate and sprinkle with the crispy laksa leaves. Add a few crispy laksa leaves into the laksa sauce and serve immediately. If you are not eating the wings immediately and want to keep your fried chicken wings crispy, turn your oven to 100-120 °C and transfer them into the oven. This will keep them warm and crispy. 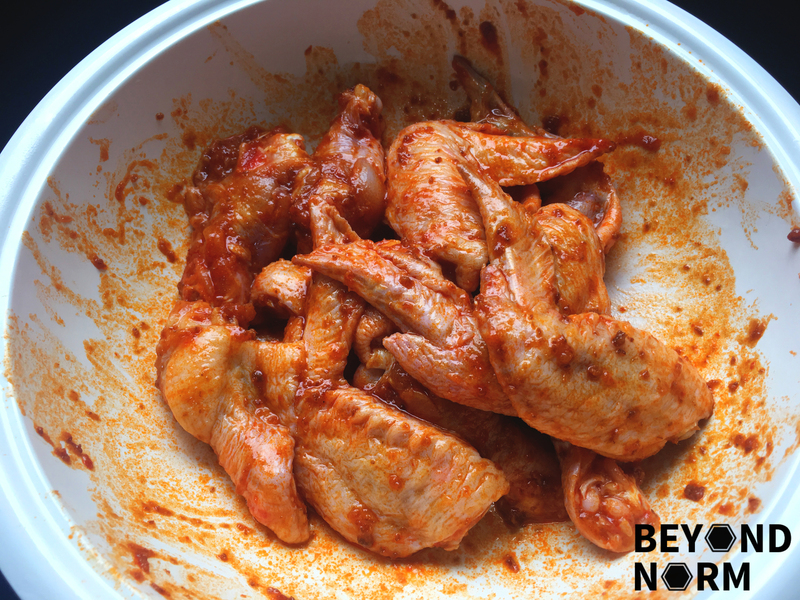 Don’t transfer your fried chicken wings to a plate lined up with paper towels as this will cause steam to be collected underneath and make the chicken wings soggy.